Spring is about to be sprung here in the northeastern U.S. and I'm so ready! Birds were chirping before it was even light this morning and pretty soon nest building will begin in earnest. To welcome the season and/or Easter if you celebrate the day, here's a handmade springtime card that makes use of super-popular Japanese washi tape. 1. Google "Easter egg clip art" and print out an egg image in a size that's right for your card. Trace it three times on white cardstock and cut out the eggs. 2. Use a few colors of translucent washi tape to decorate the eggs so that each one is different, overlapping the tape randomly in stripes for two of the eggs and snipped angles for the third. Trim around the eggs after the tape is in place to tidy the edges. 4. Cut a 3 1/4 inch square of white cardstock and a square of turquoise cardstock that's slightly smaller than the white. Apply the turquoise square to the white one using a glue stick or double-sided tape. 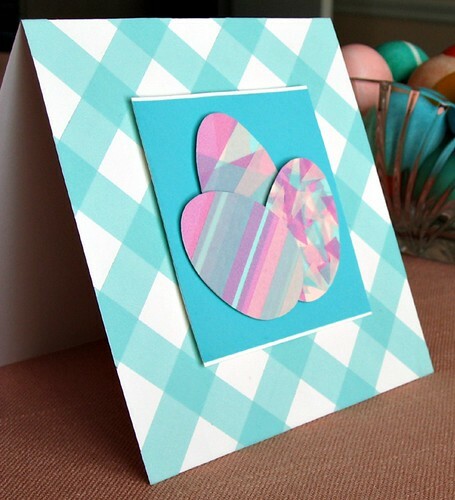 Apply foam dots to the back of the white square and adhere it to the card center. 5. Apply a few foam dots to the back of each egg and arrange them on the turquoise square. And you're done! A lovely person/stationery designer I met on Twitter sent the washi tape to me as a little present. 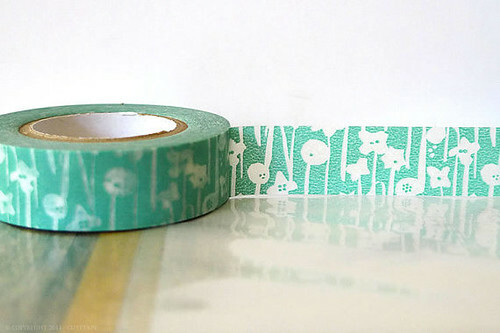 Since then I came across Etsy shop, Pretty Tape; I haven't placed an order yet so this isn't an official recommendation, but wow, does it have a huge selection of colors and prints. I had no idea there are so many choices! Lovely! The colours are gorgeous. Such a sweet card. Just got a gift card to Paper Source and I found more Washi tape there! So pretty!! 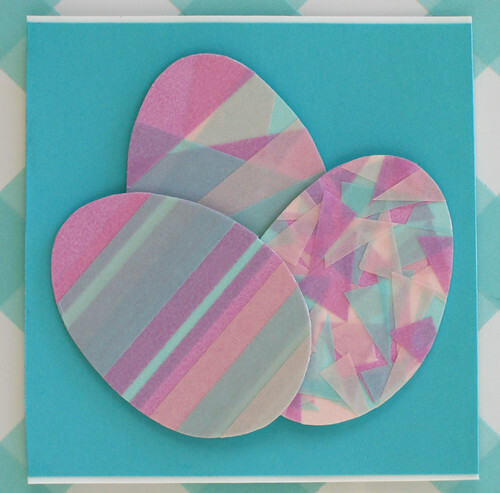 Love the criss cross for the background .The translucent paper gives such a three dimensional effect to the eggs. Beautiful card! The tape looks a lot like the effect you would get with tissue paper, but A LOT easier to handle.I will definitely have to give this one a try! very pretty, Ann. been thinking of getting some of these, now i have a reason to buy some, haha! Uh oh...I've been scared to get in the Washington tape train...but this is so pretty! Ann, the tape is really pretty, thank you for this tip. Brilliant, Simpson, brilliant! The translucent tape gives a hint of the underlying color, just like layering dyes for eggs. Thanks for sharing! Thanks so much for mentioning us! Love how you've layered the tape in such interesting ways on the eggs. lovely card, love the colors and the tape!!! Ann, Your new easter card is fabulous!! 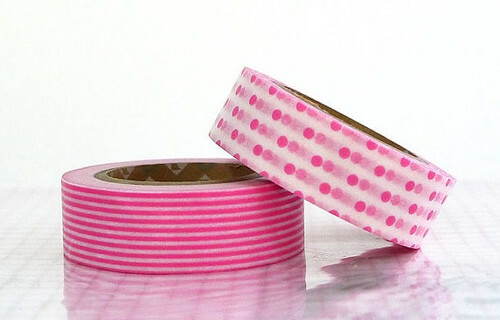 I love the colours together and the diagonal washi tape works so well in the whole design. Thanks everyone! I'm glad you enjoyed the card. I cannot see the pictures and I think it is because of the upgrade that Flickr has made recently. HELP, would love to see these.